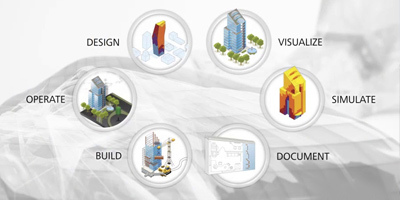 Building Design is about applying architectural, engineering and technology developments to the design of buildings. This discipline is largely concerned with the residential design, both single and multi-family, agricultural buildings, and decorative facades for larger buildings, and commercial structures. Building Design CAD tools make home design, remodeling, interior design, and kitchen & bath design easy. Using CAD is a simple way to design, estimate and manage building projects. When combined with Building Information Modeling (BIM) features, CAD tools help designers visualize, simulate, and analyze their designs. Importantly, with CAD, it becomes easy to identify design flaws and pinpoint serious build problems. These are 30-hour courses. Students pursuing a diploma or degree programme in building design or architecture or civil engineering can join the courses. Upon completion of the course, students can apply for the jobs of Building Designer / Architectural Designer / Structural CAD Designer / BIM Designer / Interior Designer. The PG Diploma provides training in skills addressing all the stages of the architectural and engineering cycles. The participants are provided with expertise to handles tasks such as surveying, 2D Drafting, 3D Modeling, landscaping, analysis and project planning management. This course is focused on the building design space and will help students capture ideas; communicate designs to various stakeholders, 3D Modeling, Building Information Modeling and Project Planning Management. This is possible by the inclusion of advanced tools. These are 40-hour courses. Students pursuing a diploma or degree programme in building design or architecture or civil engineering can join the courses.